It’s that time of year. 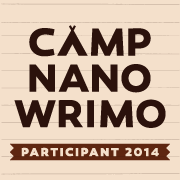 The Nanowrimo website has finally refreshed, and I want to do some interviews with people who are doing Nano here in my blog. 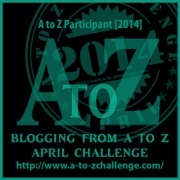 This entry was posted on Monday, October 13th, 2014 at 11:25 am and is filed under Wrimos. You can follow any responses to this entry through the RSS 2.0 feed. You can leave a response, or trackback from your own site. Like this idea – have emailed you. Awesome! Thanks for the invitation last year and looking forward to reading all the cool spotlight interviews this year. This sounds like a lot of fun. I emailed you. I’d love to! I’ll email you. I read your interviews from last year and would love to be part of this year’s series, if it’s not too late!